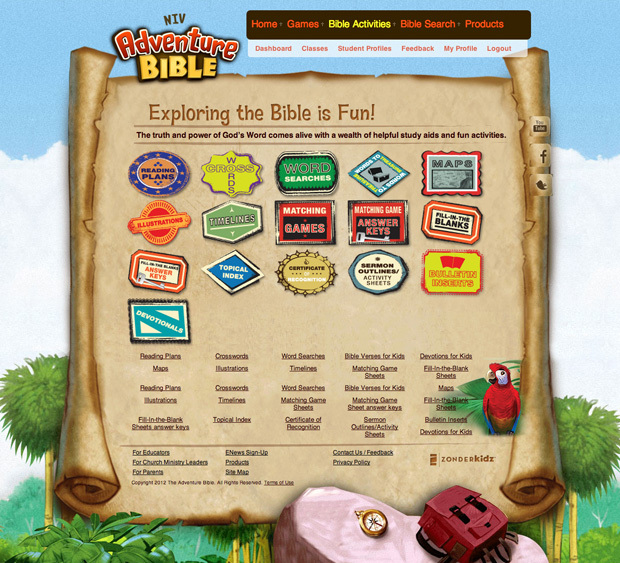 The Adventure Bible has been the #1 Bible for kids ages 9-12 for over a decade and many educators in churches and Christian schools use it. 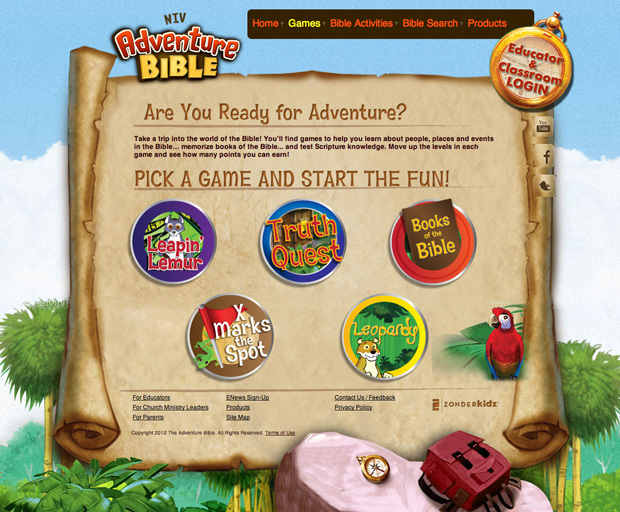 This completely custom coded website provides interactive Bible games for kids and robust support for teachers including over 700 resources to assist classroom learning. 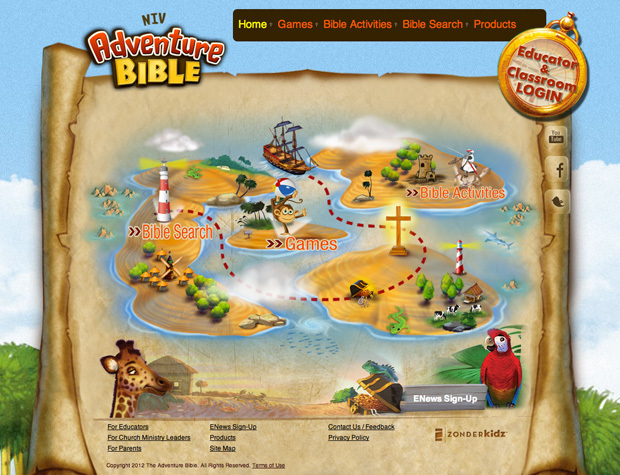 Bible games are the most popular area of the site and include games for Scripture memorization, Bible trivia, memorizing books of the Bible, and a map game. Kids whose teachers have registered their classrooms on the site have points from game play tracked to a backend teacher dashboard. Games are extensive and game point totals accumulate across multiple sessions of game play and across devices. Teachers can register on the site for a free account and receive Bible maps, illustrations from biblical times, Scripture memorization flash cards, crosswords, fill-in-the-blank worksheets, kids sermon outlines, bulletin stuffer activity sheets, timelines, word searches and much more. Also featured on the site is a Bible verse search for kids which pops-up factoids and application notes written just for kids.